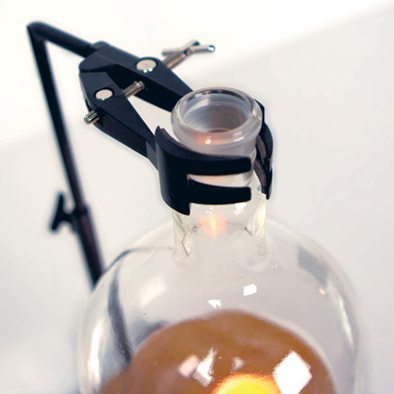 Our surprise hit of 2012 was the product we collaborated with Joost on – Jam Jar tealights. A perfect illustration of 1 + 1 = far more than 2. A glass jam jar + a pure beeswax tealight candle = hours of loveliness. A jar full of romance? And ampule of ambience? A window of perfection? Oh, don’t get me started… I’m just back from a great break and I’m feeling the love. Anyway, the break gave me an opportunity to get to some of the 1,000 unread emails in my inbox (whoops) which made me realise that you wanted more options. Of course, options mean me holding stock (so that we can ship out your goodies outrageously fast), but the brain cells have brainstormed and they all agree that this is a fabulous idea. 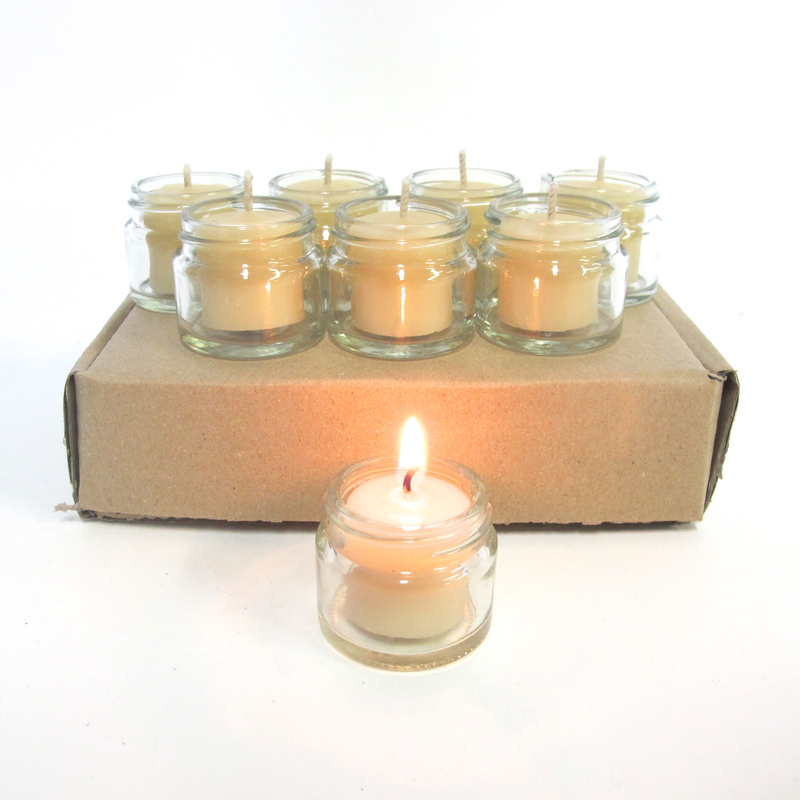 And a box of 60 Jam Jar tealight refills (which is a great complement to our Jam Jar tealight Party Pack). 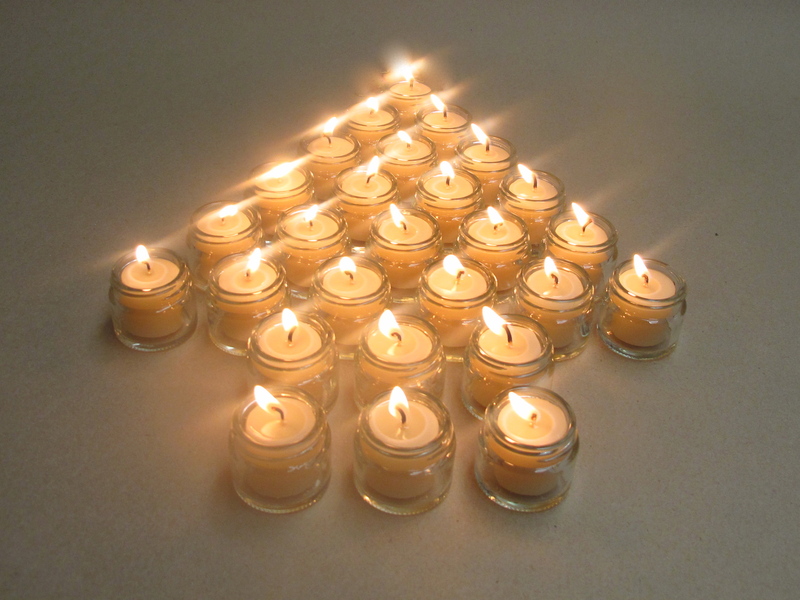 Wishing you a very happy, beeswax candlelit 2013. May your Valentine (be that you or someone else) shower you in natural, golden light, poured by hand from the loins of Australian bees. Well it appears as if there are more jam jar obsessed people than we realised… or is it beeswax candle in glass obsessed people?… or is it quirky, sustainable gift people?… or is it fans of Joost?… Never one to look a gift horse in the mouth, we’re just happy being slammed and knowing that regardless of your own particular bent, these Jam Jar Tealight beauties will never disappoint. While a mother isn’t supposed to have favourites, I have told my big sister’s for years that I was mum’s favourite (that’s the baby’s prerogative right?!) and as the baby of the Queen B range, I have to admit that the Jam Jar Tealights are my new favourite. That probably leaves the Bee Lights with middle child syndrome, which based on my experience means they will move to London where they can truly feel loved! Anyway, of course no sooner than we had them launched (and mum and dad had been called on to pack emergency supplies because we couldn’t keep up!) than the calls started about refills and bulk supplies for parties and events. Being the nimble, agile, sleek, athletic, customer-focused, (very, very good looking) bees that we are at Queen B, we’ve put them together too. 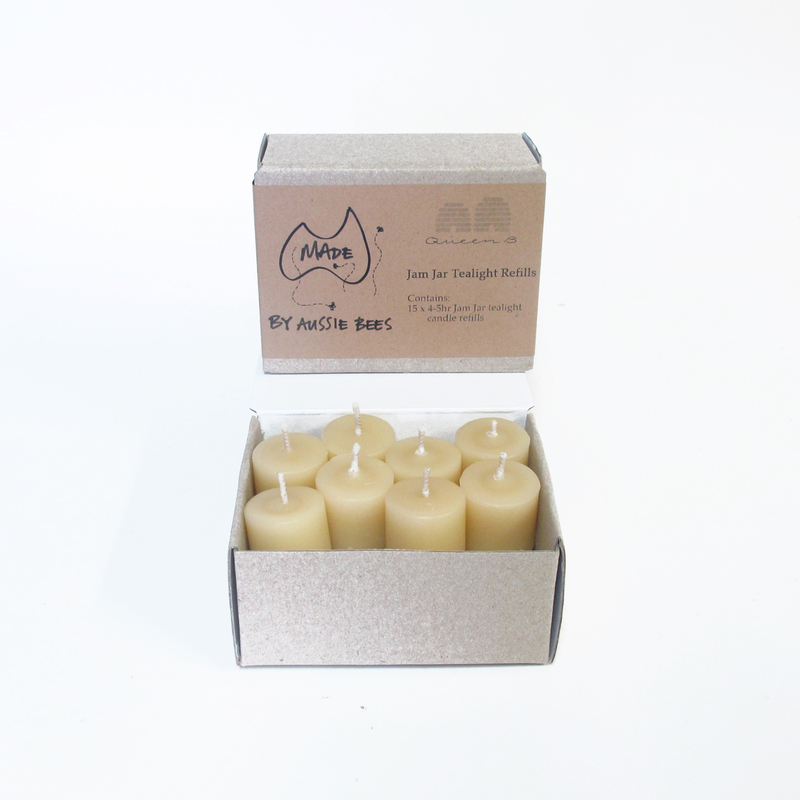 So, with no further ado, we’re proud to announce the launch of our Jam Jar Tealight Refills pack (there are 15 candles in the beautiful, Australian made box with the 100% recycled, chlorine free kraft label!). And, for those of you who think that 2 jars isn’t nearly enough and you want LOTS, or you’re having a big party, or you want to give a few as gifts, or you love jam jars a lot, or you’re running a restaurant called the Greenhouse by Joost and you want to light up the entire dining area with pure Australian beeswax tealight candles in jam jars, we’ve also put together a Party Pack of 60 Jam Jar Tealights (all in jars). It’s a play date! Joost’s baby girl with Queen B’s baby. 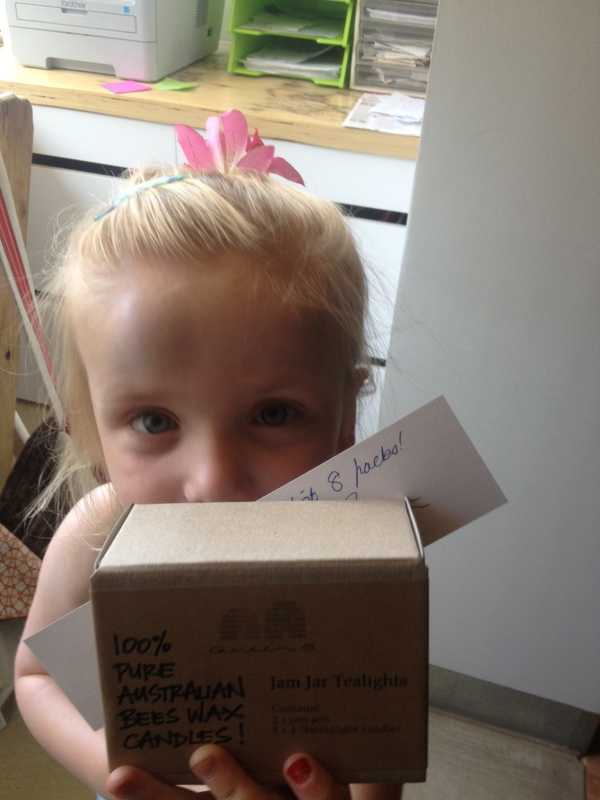 Yep, we think Joost & Jen make good babies too! Kat (who packs your orders) banned me from offering a discount, so we negotiated (got to love a democracy) and we’re doing 20% off for 24 hours only (offer finishes 11.59pm, 5th December 2012). As a few people have realised recently, no the discount end date/time is not negotiable. It is a gift to our early adopters which are consistently the people who know and love and spread the word and it’s our way of saying thanks. We genuinely appreciate it. That means that those of you that only read our newsletters will miss it. 😦 Those of you who like us on Facebook and subscribe to our blog are in on the secret! 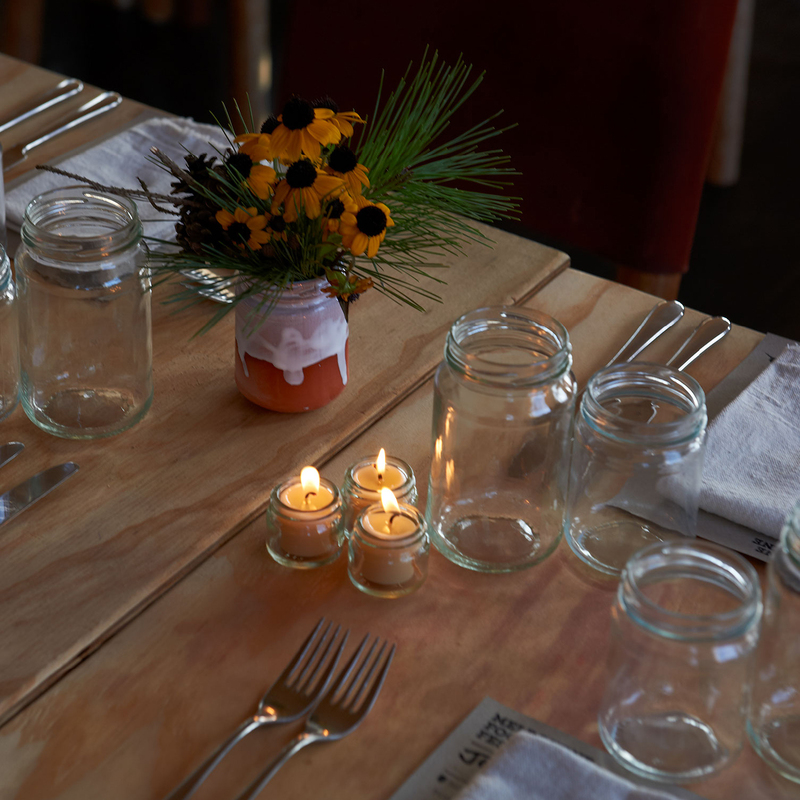 Back in March I blogged about Joost’s Melbourne Greenhouse and our pure beeswax Jam Jar Tealights which lit the way – the second eco love child of our long term collaboration with Joost. We’ve been inundated with requests for them ever since, but it took until now for them to get to the top of the list of things for us to do. 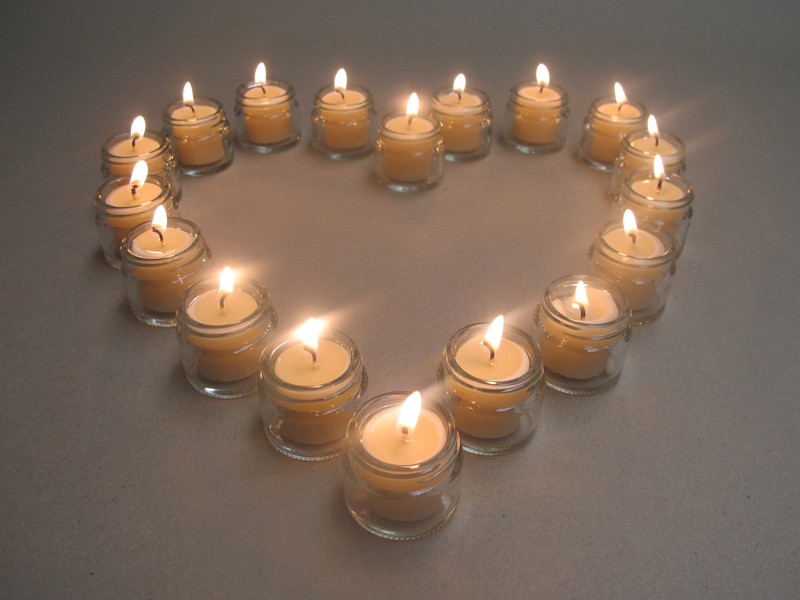 So (drum roll) it is with great delight that we announce the launch of our Jam Jar tealights. The story of Joost’s life – bucket loads of great ideas focused on sustainability (+ an obsession with jam jars) and the need for people to execute. The story of my life – the love of execution (+ an obsession for beeswax candles that burn perfectly). It’s a match made in heaven. 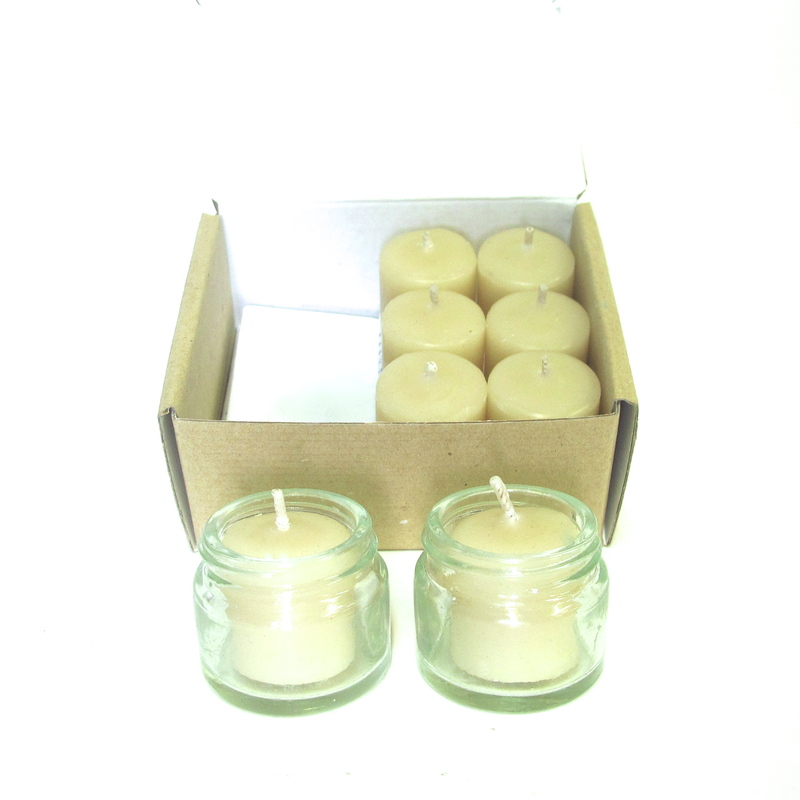 Each pack contains 2 x Glass Jam Jars + 8 pure beeswax tealight candles (4-5 hour burn time). To reuse the glass jars, simply flick out the metal wick sustainer when the tealight has finished burning and pop in a new tealight. To clean the jars use hot, soapy water. 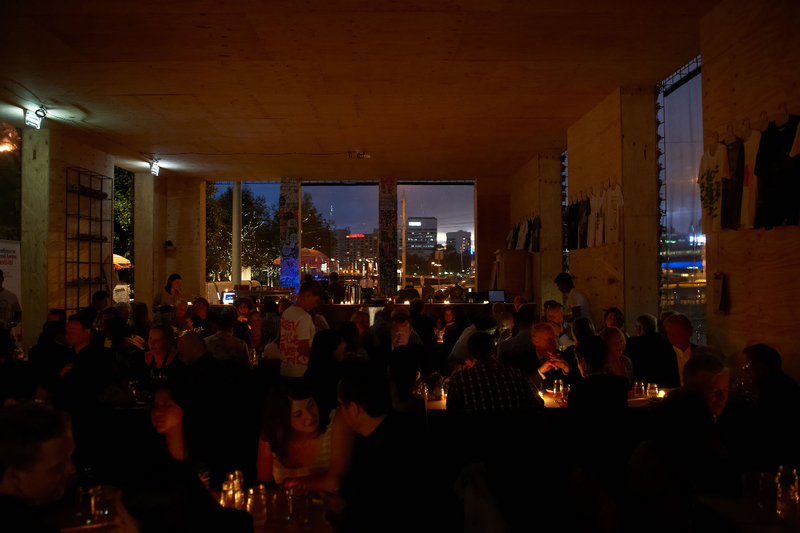 Everyone looks better looking by beeswax candle light? 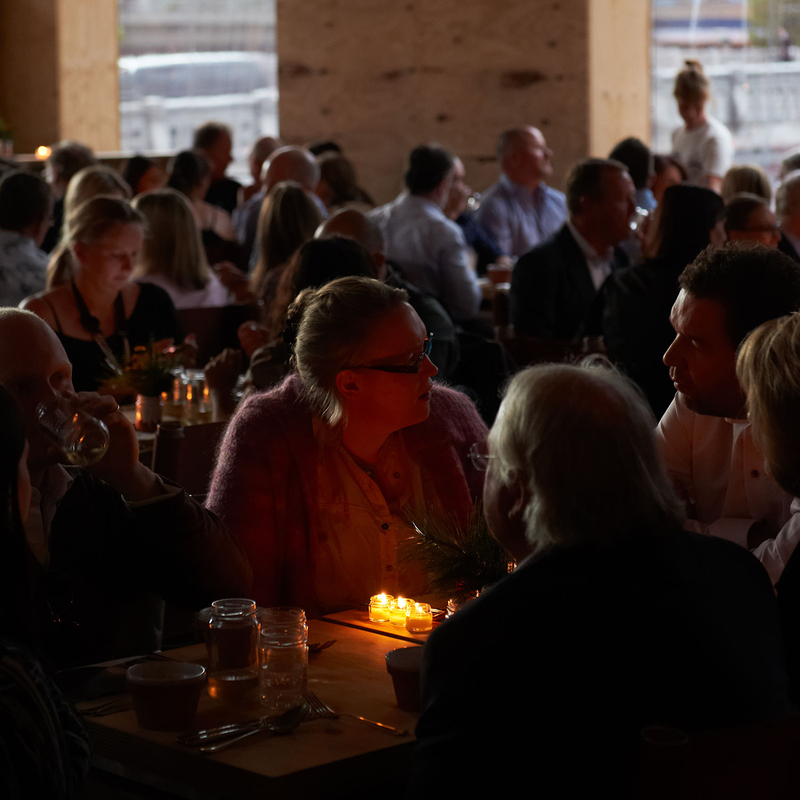 Queen B Jam Jar tealights lighting up the Greenhouse by Joost at Melbourne Food and Wine – notice that apart from the legally required safety lighting, the entire dining area was lit purely by beeswax tealight candles. Go bees. Joost, the diners & the planet thanks you. And here are trays of these beautiful little lights freshly poured from an enamel teapot at Queen B. If you’re looking for a eco gift that is Australian made, supports our regional communities, will light up people’s lives, smells good, looks great and isn’t going to end up as landfill, look no further. There are some aspects of social media that I get, and some that I don’t. Twitter, for example, I don’t get. I have nothing useful to say in 160 characters. I don’t find much of what anyone else says in 160 characters that useful either. It’s a little too like shouting. Yet I have a friend who has built a multimillion dollar business from the ground up who tells me that a large part of that success is because of Twitter. One day I hope to get it. Blogging, where I can be verbose and give waaaaaayyyyyyy too much information I get. I get feedback (which I love). It’s engaging. I think it lifts the veil a little on Queen B (not that there’s too much mystery there). It’s like sharing something with a friend… it makes you feel closer. I am not interested in “running a business”, I was to make a difference to people’s lives. I am not overly interested in flogging candles. I want to light up your dark times (and the romantic ones and the light ones in between). Anyway, on Wednesday I was chatting to Working Bee and telling her about the online world and how it has changed the nature of business. We’d been tidying shelves and found these beautiful, little tealight cylinder hurricanes that I had bought months ago and I had never put online. So, we photographed them and we put them up on the website. We sold six within an hour and another 12 within 24 hours of the product going live. Mind blowing. And that was before we even blogged about them. Or put them in a newsletter. Or tweeted about it! And before the whole idea even went viral. Who would have thunk it? I think what people like best is that it’s only $34.95 for the 6 holders. And it’s spring – so we get to play outdoors again. 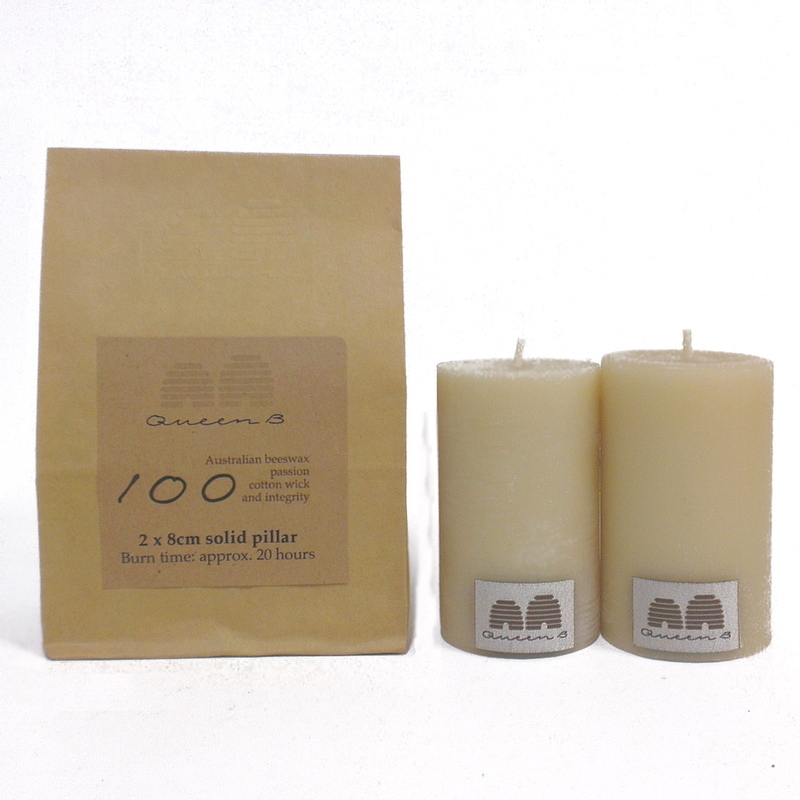 Oh, and it’s Australian Year of the Farmer and buying Queen B candles supports our farmers… but more on that later. 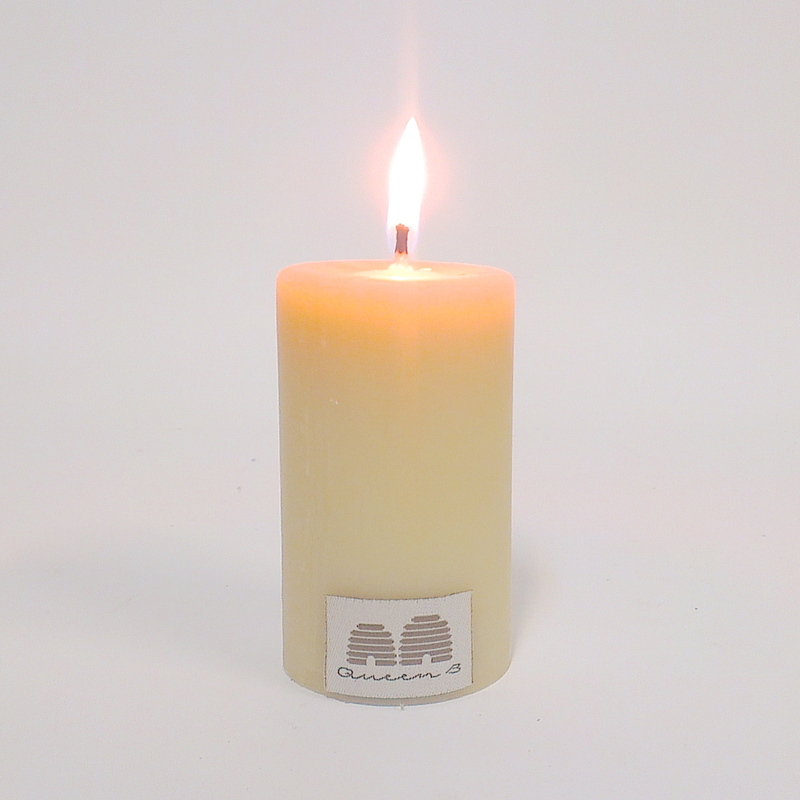 We’ve launched a lot of new candles in the past few years at Queen B, so I thought it was time to look at our Value Packs and to update them with a few of our new best-sellers (including the Bee Lights and Reversible Beehive candleholder). We’ve also made them even better value… and, of course, there’s free shipping included. 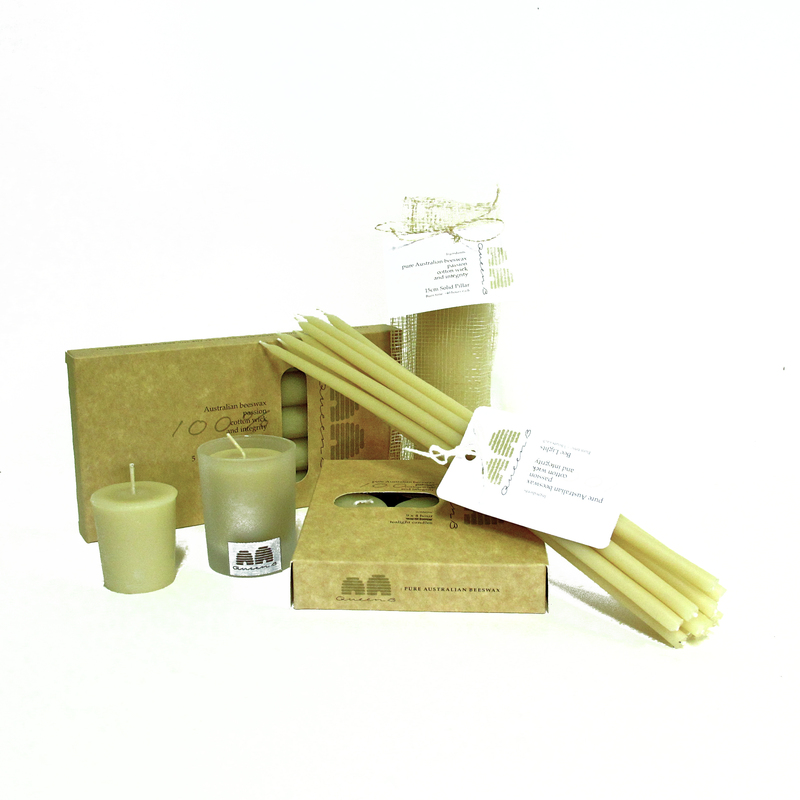 $100 Value Pack – includes Queen B pure beeswax tealights, tapers, Bee Lights, votives and a 15cm solid pillar. That’s $109.70 worth of candles for $100 and we’ll ship them to you for free (although, of course, it isn’t free for us)! 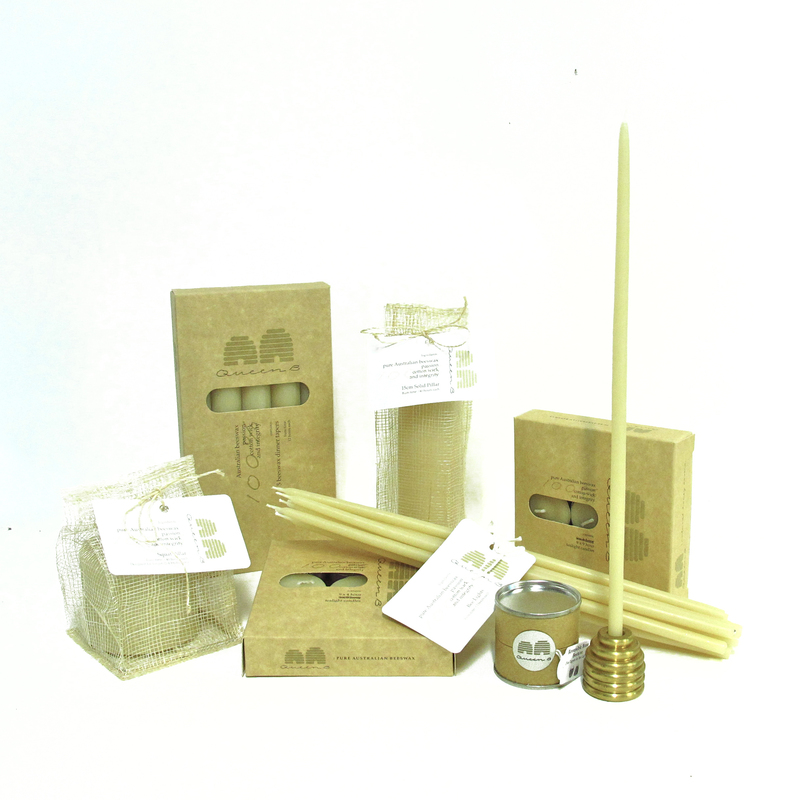 $150 Value Pack – includes Queen B pure beeswax tealights (4 hour and 9 hour), tapers, Bee Lights, a 15cm solid pillar, a squat solid pillar and one of our Australian made solid brass reversible beehive candleholders (fits a bee light one way or turn it upside down and pop in a taper). 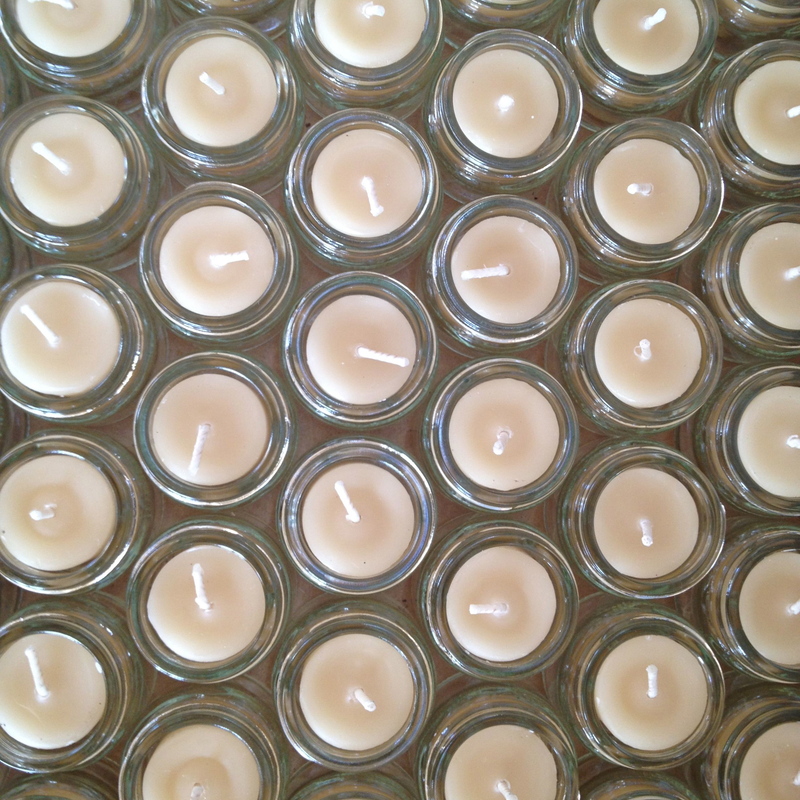 That’s $174.65 worth of candles for $150 and we’ll ship them to you for free! 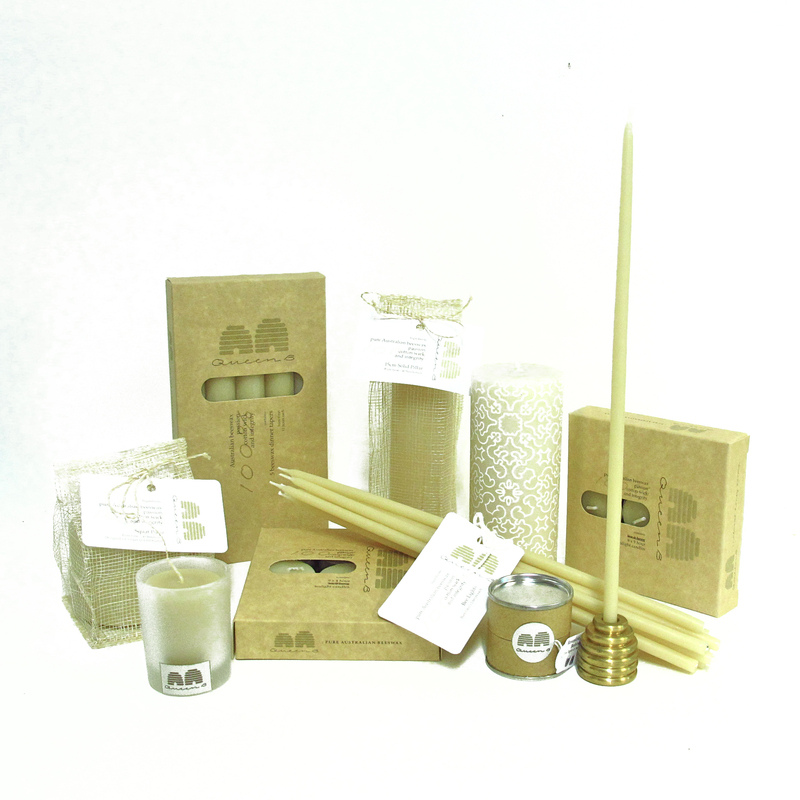 $200 Value Pack – includes Queen B pure beeswax tealights (4 hour and 9 hour), tapers, Bee Lights, a 15cm solid pillar, a squat solid pillar, a votive, a 15cm narrow rolled pillar in any design (or Casablanca is the default design) and one of our Australian made solid brass reversible beehive candleholders (fits a bee light one way or turn it upside down and pop in a taper). That’s $232.50 worth of candles for $200 and we’ll ship them to you for free! 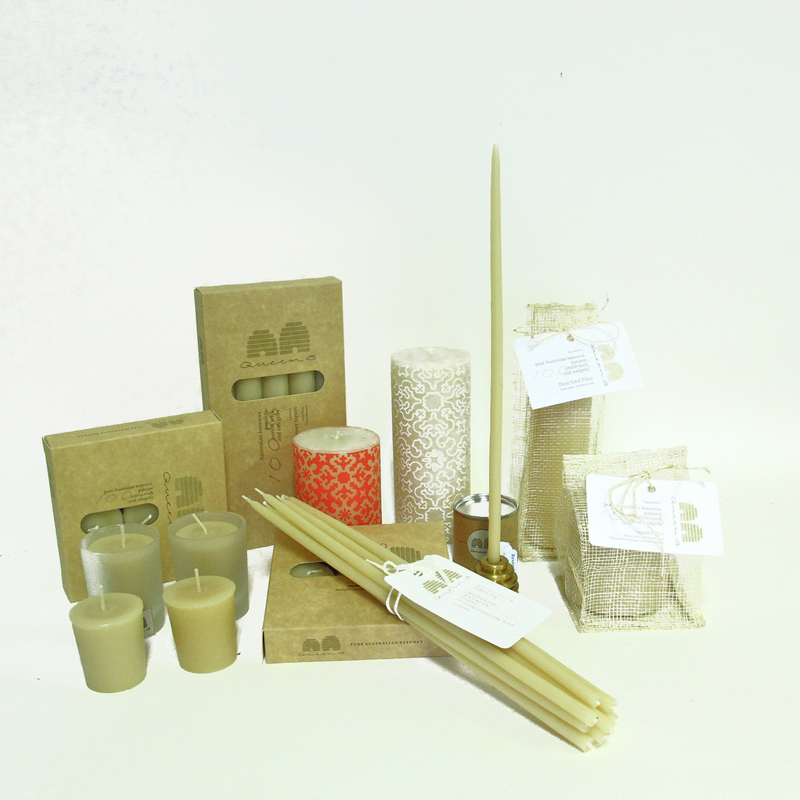 $250 Value Pack – includes Queen B pure beeswax tealights (4 hour and 9 hour), tapers, Bee Lights, a 15cm solid pillar, a squat solid pillar, votives in glass + your first set of refills for them, a 10cm narrow rolled pillar in any design (or Marrakech is the default design), a 15cm narrow rolled pillar in any design (or Casablanca is the default design) and one of our Australian made solid brass reversible beehive candleholders (fits a bee light one way or turn it upside down and pop in a taper). 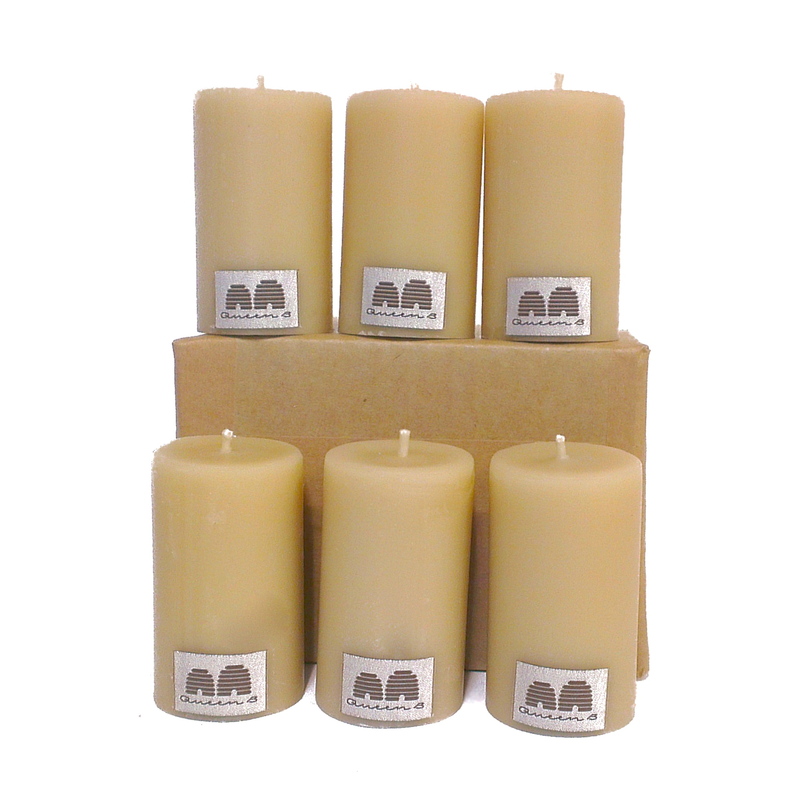 That’s $299.30 worth of candles for $250 and we’ll ship them to you for free! 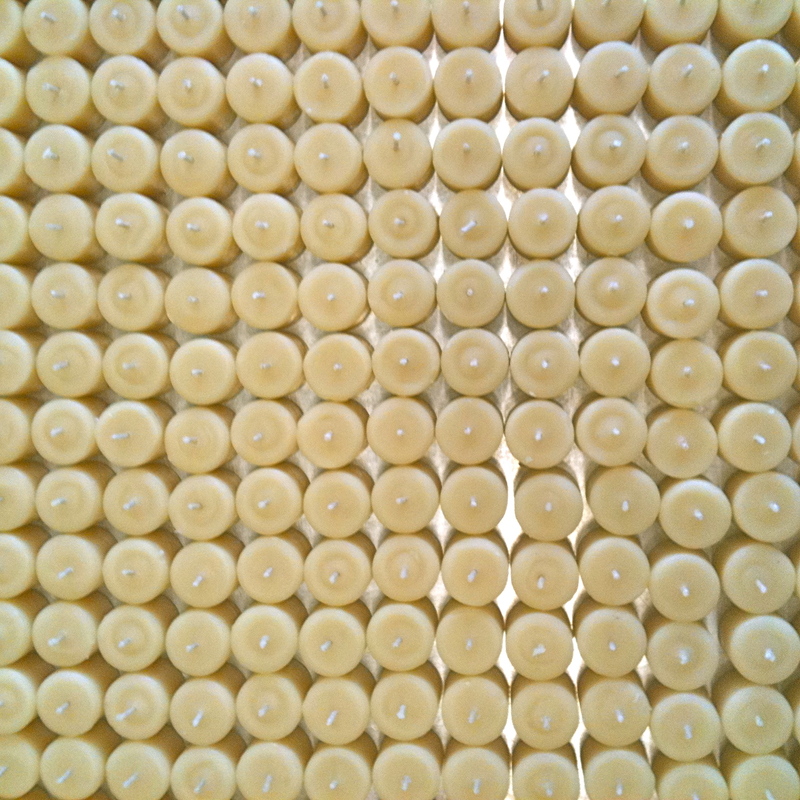 That’s over 421 hours of pure beeswax candlelight. Better for you, better for the planet, better for your psyche and given the way electricity prices are going, probably cheaper than putting a lamp on too! 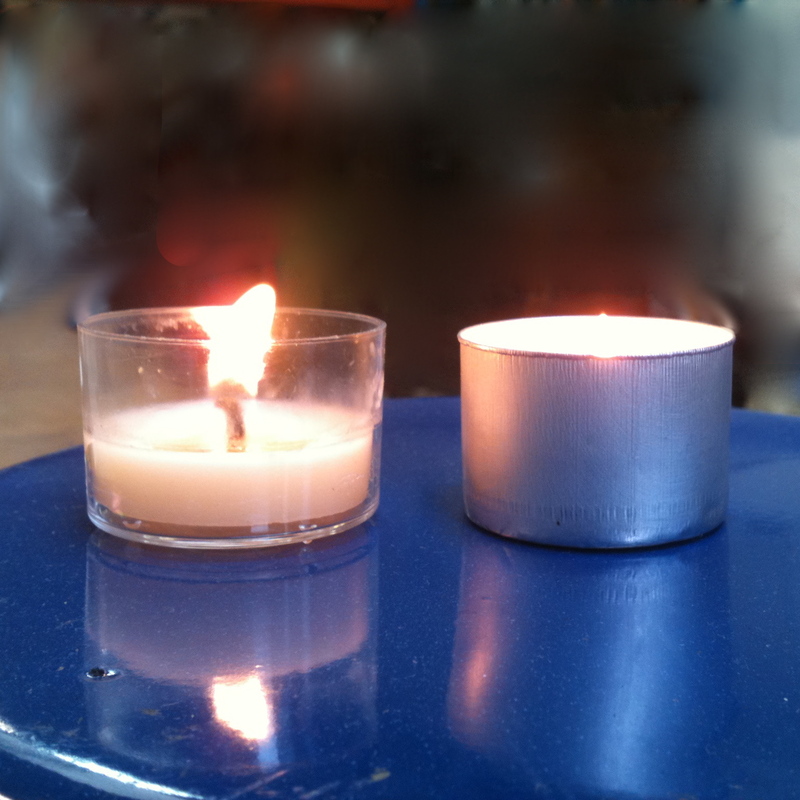 For several years I’ve had a project bubbling away in the background to look at introducing tealight cups which are sturdier for reuse than aluminium cups. I must admit that being a purist in terms of seeing the flame a candle, I was also looking for something clear to allow the flame to shine in all its glory for the entire burn of the candle. What joy then to be able to achieve two fabulous outcomes with one innovation! I am delighted to finally (after lots of research, questions and testing) to be introducing a new range of tealights with clear, sturdy, reusable tealight cups. One of the issues on which I spent quite a bit of time was looking at the environmental credentials of these cups. I must admit that initially I was put off by the idea that polycarbonate is a plastic. What I found when I researched further is that there are several varieties of polycarbonate – the most expensive of which is the V0 rated polycarbonate meaning that there are zero emissions from the cup when the candle is burning. And then there is the issue of reuse. As any of you who have reused the aluminium cups would know, they tend to get quite battered around! The clear cups are significantly thicker and sturdier which makes them significantly better for reuse. When your tealight has burnt out, simply flick out the metal sustainer that was holding up the wick and insert a tealight refill. If you think the cup is looking dirty, soapy hot water will clean them up a treat (that tricks holds for any candleholder that may be looking worse for wear). During testing (over 500 tealight cups worth), there was an occasional (less than 1%) issue with the 9 hour tealight cups slumping on one side. This is due to the curvature of the self-trimming wicks and the higher melting point of beeswax. 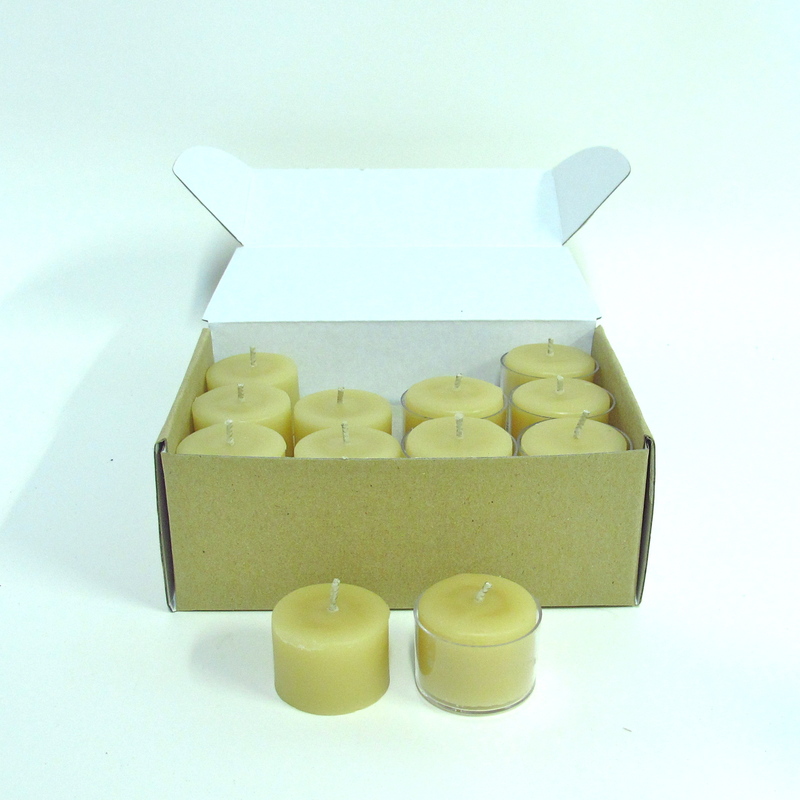 To compensate, we’ve included 12 cups in the 9 hour tealight pack which promises 6. Both the polycarbonate and aluminium cups are also 100% recyclable. … and, of course, they reflect more light (making them more fit for purpose) and, in my opinion, are more beautiful to use. Would love your thoughts and feedback.